New Delhi: Admiral Michael Mullen, the top military official of the US, confirmed to India that Pakistan’s military and intelligence chiefs had effectively admitted that the terrorists involved in last week’s terror attacks in Mumbai were Pakistani nationals and members of terrorist outfit the Lashkar-e-Taiba (LeT), according to a top Indian government official familiar with the subject and who did not wish to be identified. 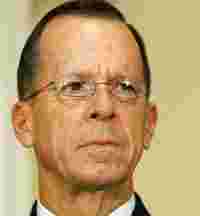 Mullen, the chairman of the joint chiefs of staff, was in New Delhi on Thursday and met national security adviser M.K. Narayanan, defence minister A.K. Antony and navy chief Admiral Sureesh Mehta. He flew in from Islamabad, where he had met army chief Gen. Ashraf Kiyani, the chief of the Pakistani Inter-Services Intelligence (ISI) Lt. Gen. Ahmed Shuja Pasha and the country’s national security adviser (Retd) Gen. Ahmad Durrani. Mullen told the Indians that he had told the Pakistanis that the US had evidence that the terrorists involved in the Mumbai attacks were Pakistanis and members of LeT. “‘They did not deny it’," the Indian official quoted Mullen as saying. The official added that Mullen said he had told Pakistan’s security and army chiefs that the US had “independent proof" on the nature of Pakistan’s involvement in the terror attacks. “They (the Indian officials and Mullen) exchanged information and Admiral Mullen reported on the conversations that he had in Pakistan," US embassy spokesperson Larry Schwarz said. “It was essentially the same tough message that secretary of state Condoleezza Rice delivered to the Pakistani leadership. We are now watching very closely and expecting action in short order." India has said that Yusuf Muzammil, an LeT leader, is one of the main plotters and has asked Pakistan to hand over 20 terrorists New Delhi says are living in that country, including Muzammil. On Tuesday, US director of national intelligence, Mike McConnell, blamed LeT for the blasts without actually naming the group. On Thursday, an Indian government official told reporters that the government had “proof" linking ISI to the Mumbai terror, including “names of the handlers and trainers, the locations where the training was held, (while) some of the communication through voice over Internet protocol have addresses that have been used by known ISI people before," The Hindu reported. The Indian official quoted in the first instance said that in conversations with Rice and Mullen, India shared information, including personal details disclosed by the lone surviving terrorist Amir Ajmal Kasav about his parents, brothers and sisters, and where they live in Pakistan and what they do. “This much is at least enough to establish that he is a Pakistani national." The official added that the US Federal Bureau of Investigation has been given access to substantial evidence that has been and is being put together by the Indian intelligence agencies.